A quiet, bird-filled, peaceful New Year is what we wish for you. We’ll wrap up 2016 with last month’s Viewing Window record. So busy last month, and now we … well are still busy. Our annual appeal is officially over but we welcome your donations all year of course). 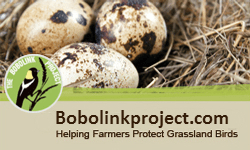 Help us feed the birds and much more! Even though we ask that you call or email to set up a visit (from now through April 30), we have some exceptions for open days, special events, and offsite activities: Click over to our events page. If you follow us on Facebook, Twitter , tumblr, and/or Instagram too, you’ll find more comments, links, and observations. See you in 2017! 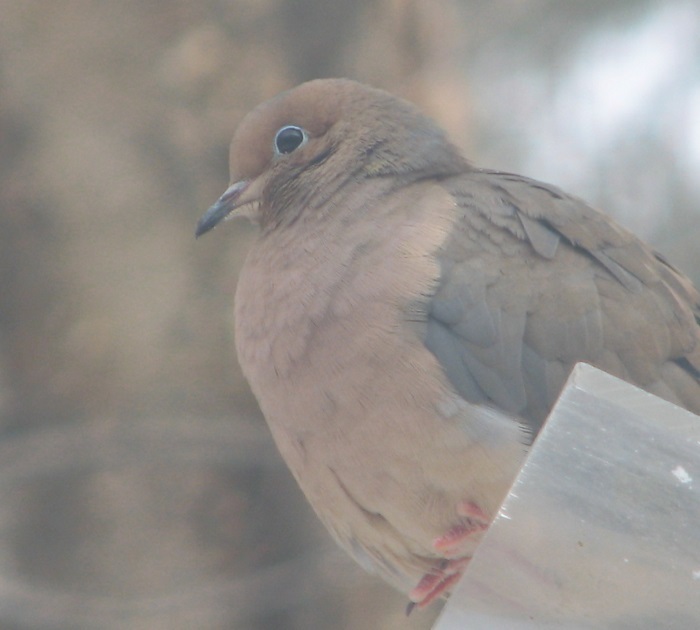 While we got busy this March, with animal tracks and gathering art for our 2016 Community Art show (In Layers), birds kept visiting including some returning from points south. Welcome, hints of spring!! Here are our outdoor neighbors of March 2016. We also observed Red and Gray Squirrels, and an Eastern Chipmunk—first one on March 6, then several as the month went on. You too can watch from our window! To schedule a visit call, tweet, phone (802) 434-2167, or email museum@birdsofvermont.org ! We’re hosting a volunteer work party on April 16 and sharing a Bird Monitoring walk on April 30. Join us! We’ll be out and about as well, giving programs at local libraries and senior centers. It’s felt not-very-winterish this year. But looking at previous years, it seems much the same birds have been here (not that our records go back very far in this medium, and they’re much more informal than eBird data by and near the Museum). See for yourself if you are curious— links are below the bird list. We also observed Red and Gray Squirrels, and, mysteriously, blood under the feeder. One of the web cams recorded a raccoon, very briefly, on 2/21. You too can watch from our window! To schedule a visit call, tweet, phone (802) 434-2167, or email museum@birdsofvermont.org ! We’ll also be hosting an Animal Tracks & Sign workshop on March 19 and the next Bird Monitoring Walk on March 26. 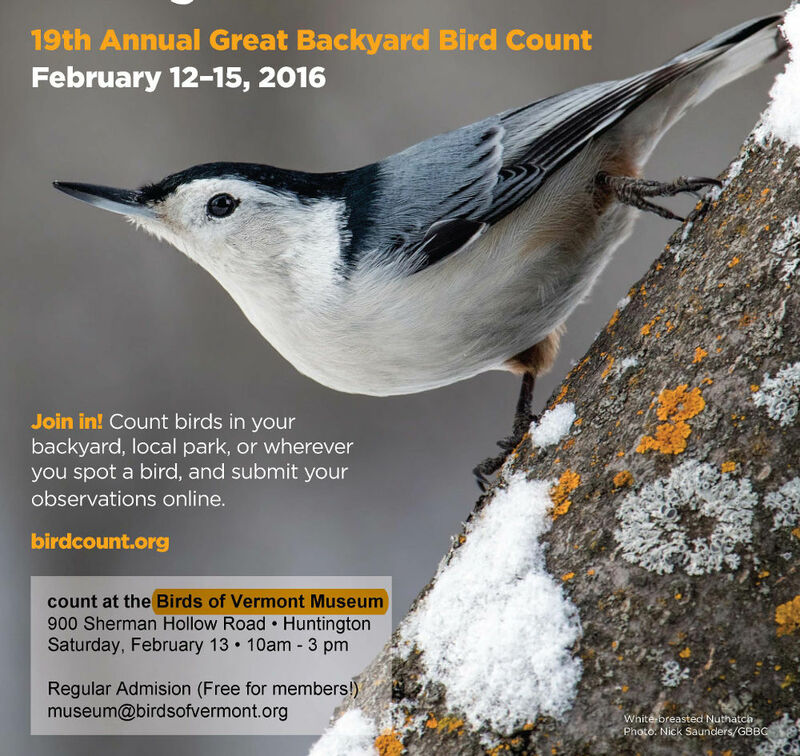 Drop by the Museum for the Great Backyard Bird Count! We’re open Saturday, February 13 • 10am – 3pm to share the Count with you! New to the count? We can tell you about it and help you participate. 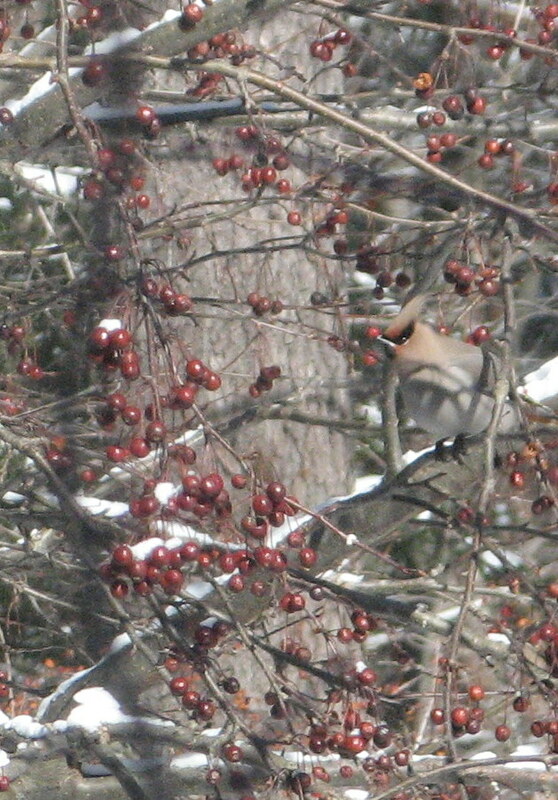 Need to warm up from your outdoor excursion with Audubon Vermont? Do so from the comfort of our viewing window chairs. Seen a great bird and want to let us know? Sounds good! Want to have fun? You bet! A nice month for accidental sightings of the larger birds as we come into or out of work. Snow depth is paltry (and for some us, that’s depressing, infuriating, or just plain inhospitably dangerous, if, say, you are a grouse). 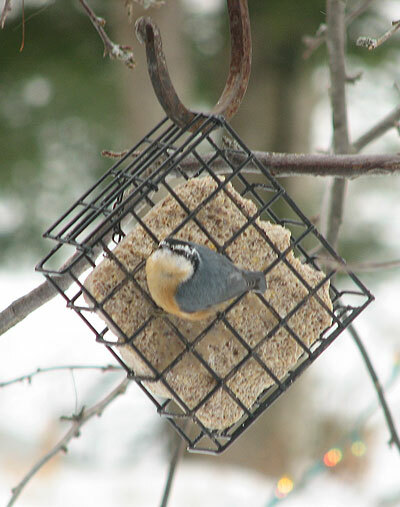 We have both the up-on-a-post feeders and ground feeding areas, one of which is just outside the office windows. It’s such a treat to look over and catch sight of a junco or a chickadee right there, not four feet away. We also observed Red Squirrels, and Gray Squirrels. Wow are those Gray Squirrels numerous. We’ve consistently been seeing 6-12 or them, and at least 13 on January 17! You too can watch from our window! Drop in for the Great Backyard Bird Count on February 13, or call, tweet, phone (802) 434-2167, or email museum@birdsofvermont.org to schedule your visit for another day!